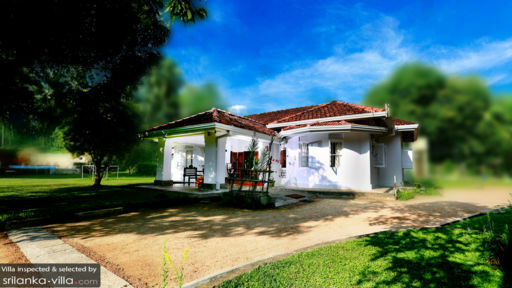 “Walawwa” is the Sri Lankan name given to colonial manor houses owned by the leaders of the village. 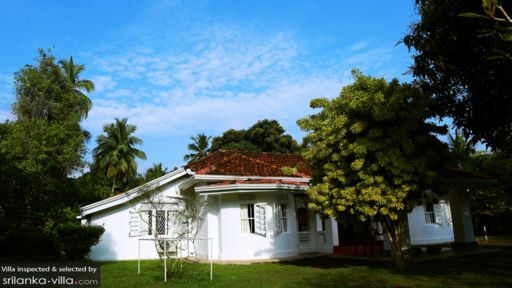 Villa Thalpe Walawwa is one such manor house, build in the early 20th century and the ancestral home to a prestigious family of politicians even to this date. The family has now renovated the Villa Thalpe Walawwa to bring it into the 21st century but not forgetting to retain the old colonial charm that takes you back in time. Tastefully furnished in a colonial style in wood completed with white and earth tones, Villa Thalpe Walawwa has three luxurious suites in the main house, each named after some of the Sri Lankan political dignitaries who had graced Villa Thalpe Walawwa with their presence, including one named after the first woman prime minister in the world; Mrs. Sirimavo Bandaranaike who enjoyed staying in that room. For guests seeking more privacy, Villa Thalpe Walawwa has a garden bungalow with two adjoining king sized suites with a private patio and open air bathrooms. Surrounded by a five acre organic tea plantation has its perks as not only does Villa Thalpe Walawwa has a beautiful manicured garden with plenty of space to set up a table and chairs to have lunch or dinner in the lovely gardens, guests can also request for private tours of the tea estate surrounding them. In the days when the sun it too hot to bear and the humidity is high, Villa Thalpe Walawwa also has a pool for guests to lounge around in. Houses of the era that Villa Thalpe Walawwa was build were all one story buildings but since the village leaders usually had enough space to spare, the houses are very expansive. Villa Thalpe Walawwa is no exception in not only having large and special suites but also several living areas at several parts of the house. Decorated in a grand colonial style with many of the furniture being antiques passed down through generations, Villa Thalpe Walawwa has enough sitting areas for a guest to sit back and relax with a good book. 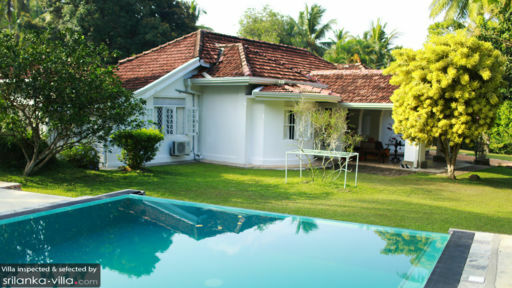 Villa Thalpe Walawwa is conveniently located 15 minutes from several popular southern beaches like Unnawatun and Thalpe as well as being about 20 minutes away from the UNESCO world heritage site of the Galle Fort. Villa Thalpe Walawwa also offers the service of organizing tours to its guests including visits to tea, rubber and cinnamon estates, whale watching and many other interesting activities and its guests need only to inquire. We stayed here for 3 nights in August. I absolutely love this place. It's spacious and provides a quiet retreat after a hectic travel schedule.The staff are very professional, service minded and cater to all your requests.I Would like to recommend it to everyone. We stayed here for two nights in August. We thoroughly enjoyed every bit of this place. The villa has a beautiful and large garden, a very nice swimming pool and all what we asked for. The service was excellent where the staff never said no and was very attentive to all our requirements, the food was nothing short of excellent.The villa has a colonial type atmosphere which makes it an even better experience. The surprising part was where the villa had its own organic vegetation to hand pick from. Never expected this when we booked, but it was truly fantastic from the time we stepped in. Would go back to this place with no second thoughts. A truly wonderful place set in tropical gardens with a old world, colonial type feel, this was a holiday to remember. Very comfortable, good sized, immaculately clean room with WiFi and AC. Superb breakfast, in fact we ended up eating most of our meals there once we had tasted Marvin(Errol)'s curries, excellent food and great value! 10min tuk tuk ride to the shops/restraunts at Unawatuna beach. The pool is exceptional, immaculately clean and well maintained. I am a keen photographer was in my ellement wondering around the extensive grounds snapping the abundant variety of exotic birds. "The staff" Marvin and Surnaga, made us feel so welcome and nothing was too much trouble, a pleasure to have met them and we left as good friends. My wife and I would go back in a heartbeat.